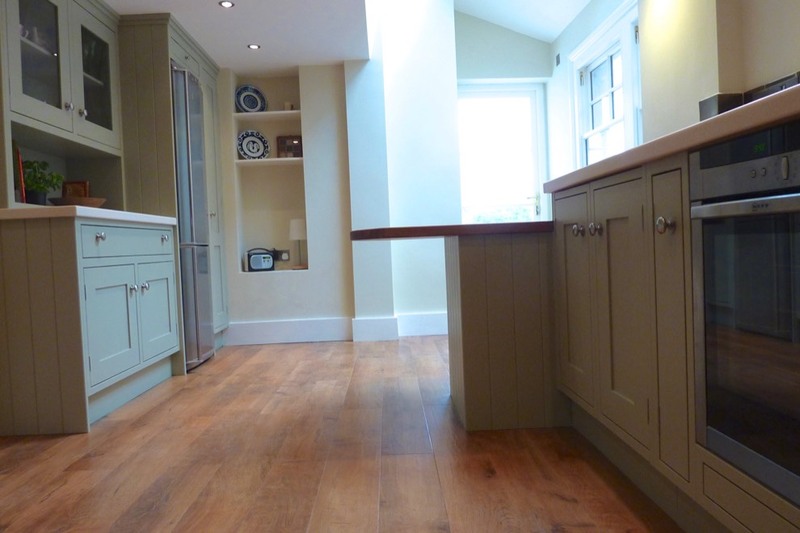 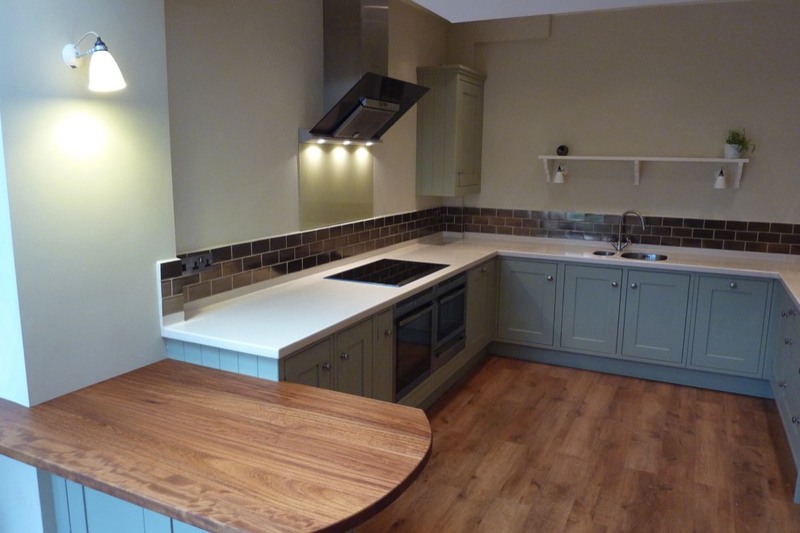 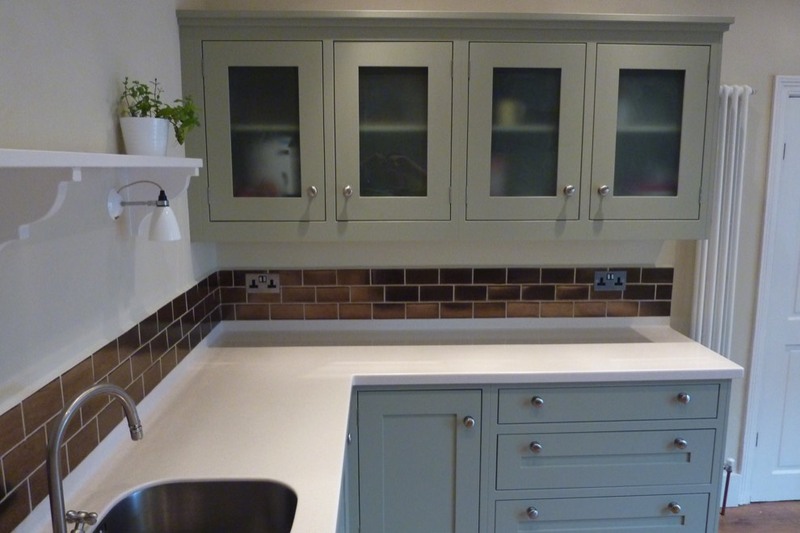 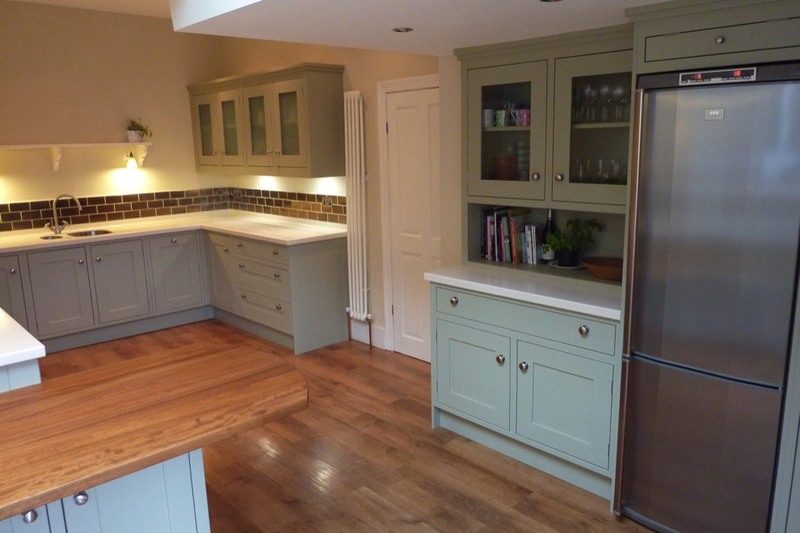 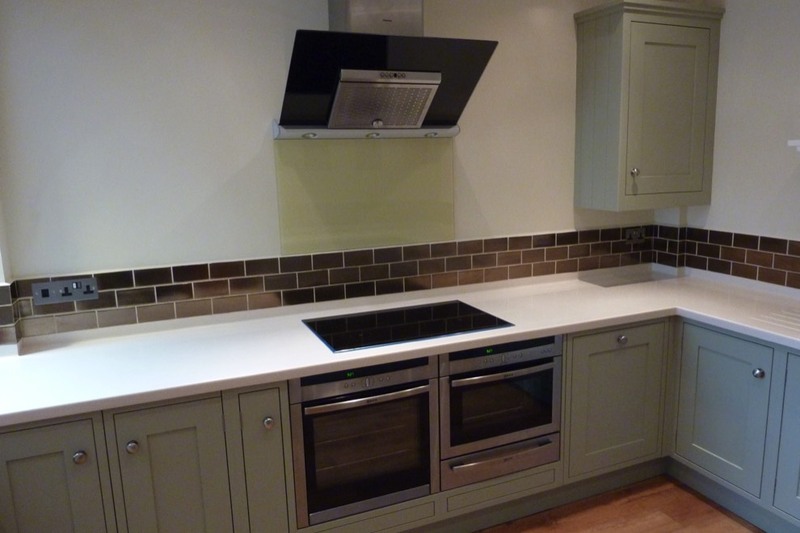 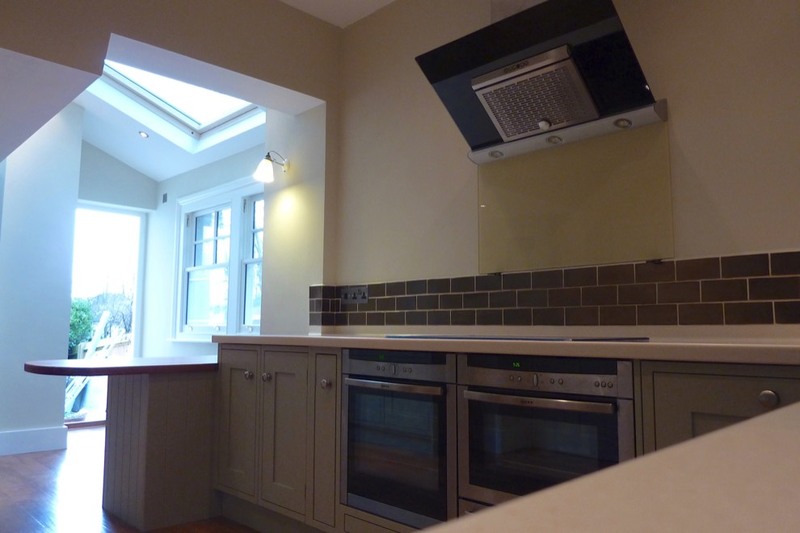 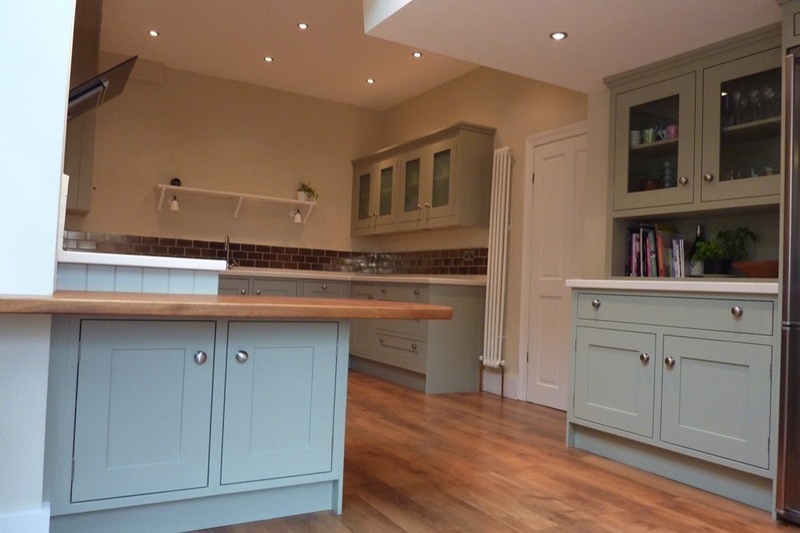 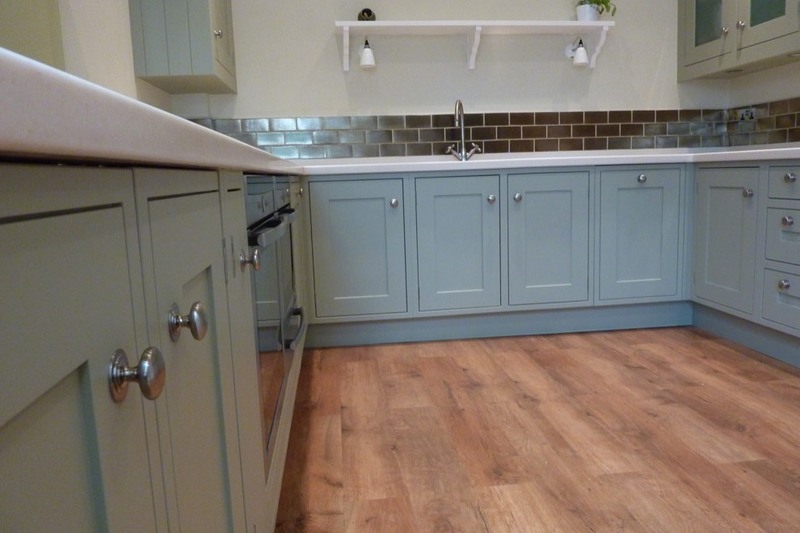 This property in Carshalton Surrey has a square bespoke in frame hand painted kitchen installed by Teddington kitchens, The area where the fridge was to be situated the ceiling was very low, so the cabinetry was designed and built to fit from floor to ceiling. 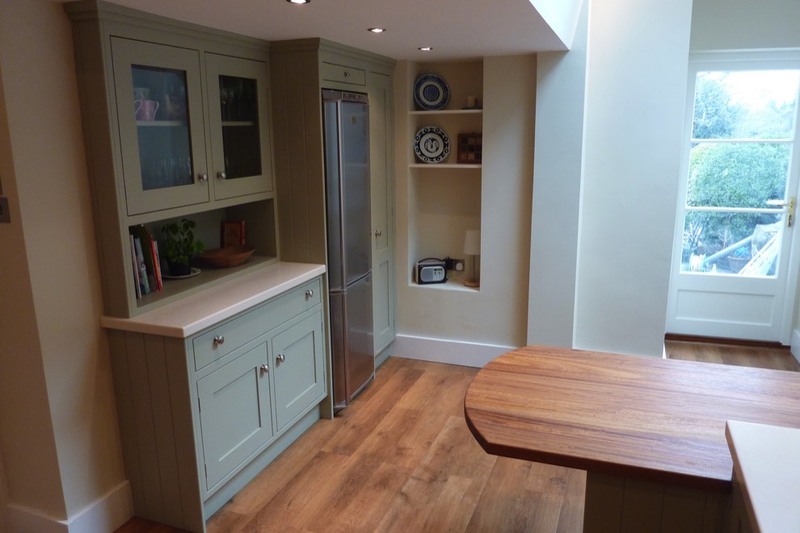 The worktops are Corian with coved up stands to make for easy cleaning; the drop-down breakfast bar has iroko wide stave top to it which looks fantastic. 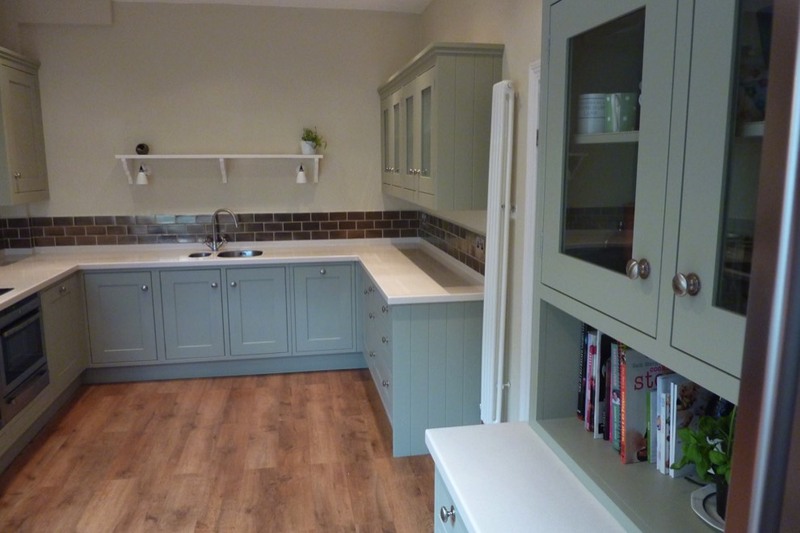 There is a free-standing washing machine behind doors to the left of the cookers.